– Students in three area high schools who plan to attend to Missouri Southern State University will participate in formal academic signing ceremonies in Joplin, Webb City and Carthage. The purpose of the Academic Signings is to symbolically demonstrate mutual commitment. The students are indicating their intent to immerse themselves in MSSU’s learning environment in which they will thrive. 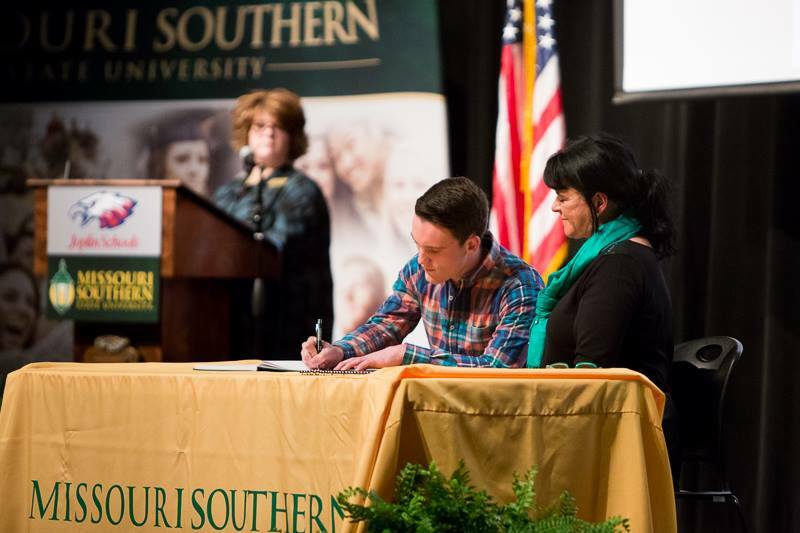 In turn, Missouri Southern is committing to partner with the students to help them achieve their educational dreams. “We believe the students and their guests will enjoy the events and leave knowing how eagerly we anticipate their becoming part of our Lion Pride,” said Dr. Wendy McGrane, associate vice president for academic affairs and vice provost at Missouri Southern. Each student will receive a special gift. NextTHE GAME PLAN: Enjoy the sweet taste of victory!